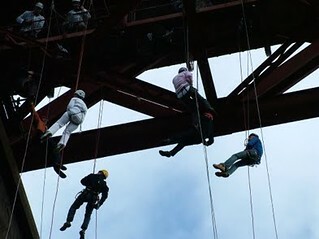 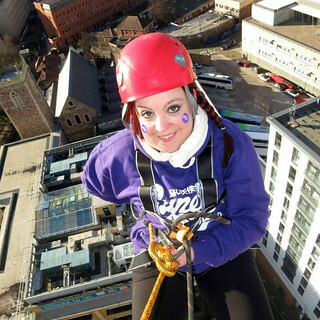 Abseiling activities across the UK! 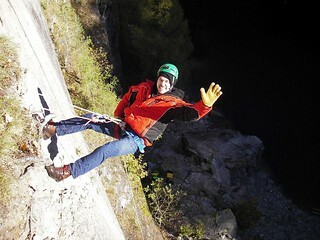 View this section of mountain adventure in the form of abseiling. 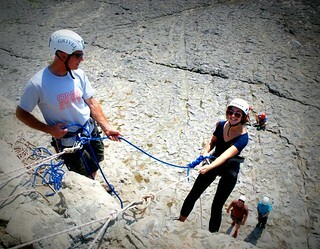 We are engaged in offering parties and adventure deals across the country in various locations. 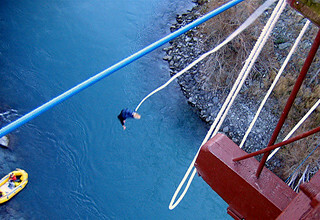 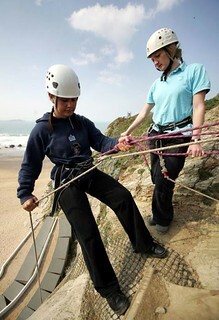 Abseiling (or abbing as you may call it) is the process of sliding down a rope under controlled conditions. 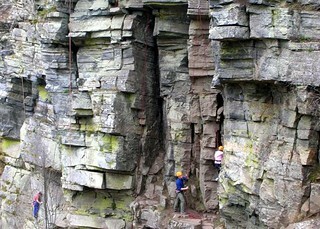 It is an enjoyable sports activity for most non-climbers. 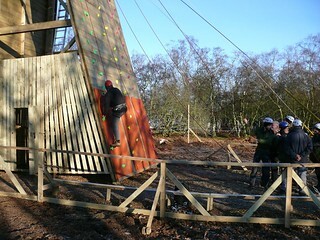 Where as professional climbers use it only during controlled conditions. 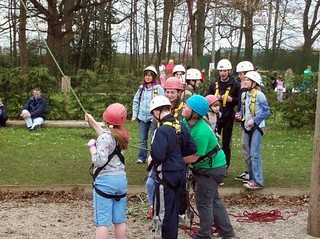 Abeseiling is suitable for all abilities and levels of expertise. 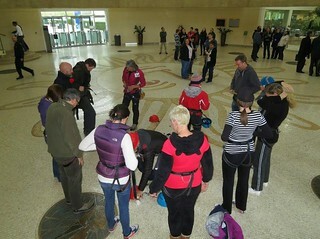 It starts off with a straight forward abseil and then you get the chance to slowly build up your confidence. 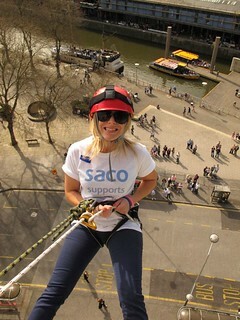 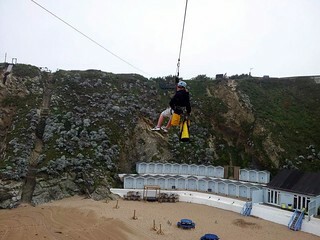 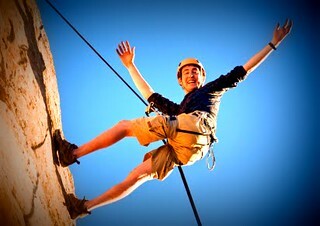 You can overcome the fear of heights with a half or full day session with us. 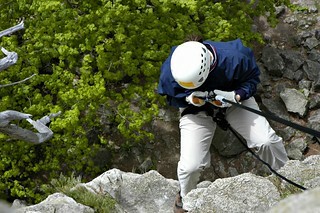 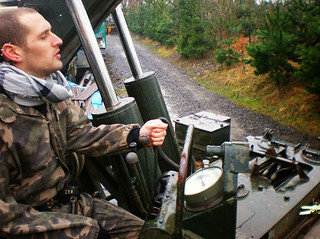 You have professional instrctors to guide and assist with all the safety gear. 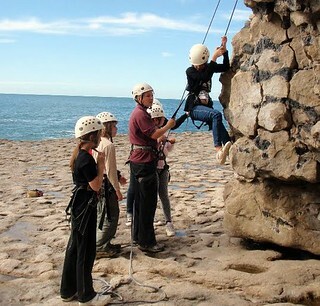 Our specialisation in activities are in demand with customer's views, so count on us at any time of the day or year. 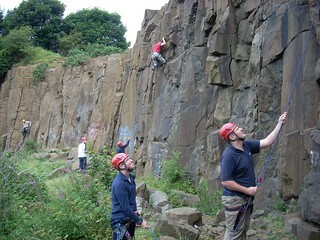 For booking this event, just give us a call and we will update you with details.